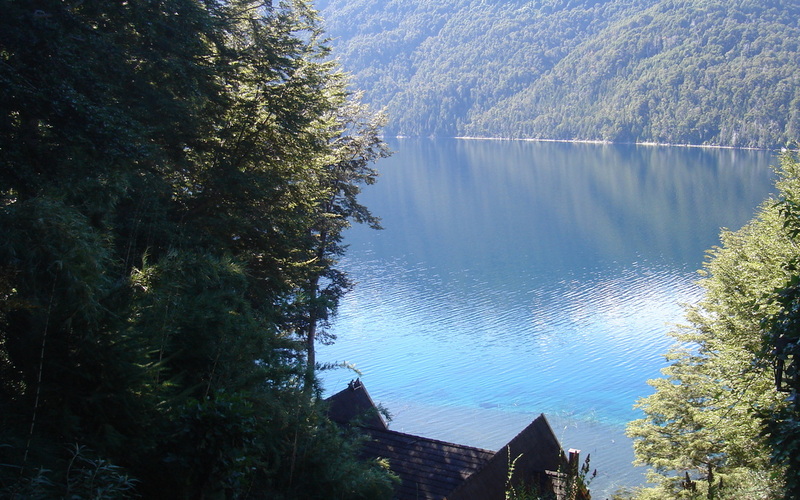 is located in Villa Parque Correntoso, Villa La Angostura, Neuquén, Argentina. It is an invaluable place. It is a cabin, duplex type, with 70 m2 (775 sq. ft.) covered, brick built with stone and wood finish. _A wonderful place to enjoy nature and life. 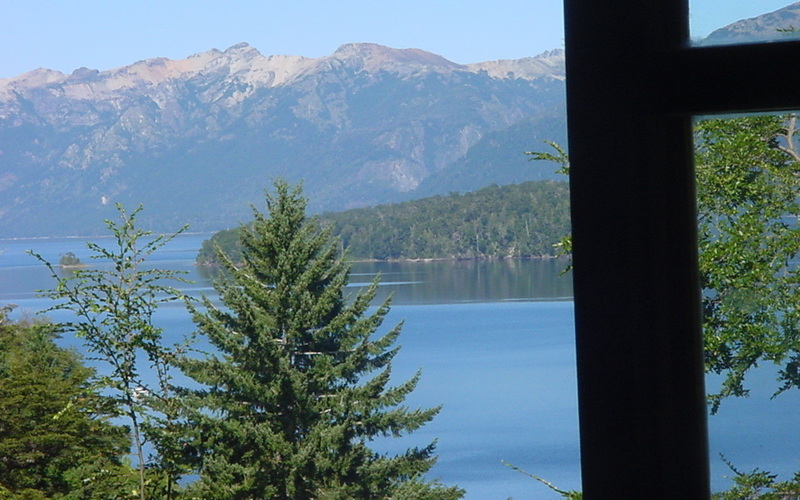 Victory Cabin facing Lake Nahuel Huapi. For all year round Reservations please click here. For Location and Directions please click here. Lake Correntoso from Victory Cabin's backyard neighbor view. _From the cabin's window (below) you can see Lake Nahuel Huapí and on its backyard is Lake Correntoso (above). 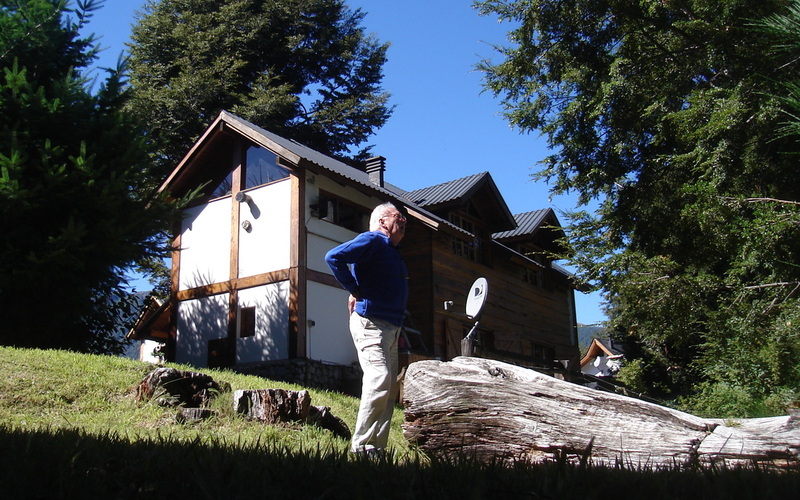 Victory Cabin is located on a hill 200 meters above the Correntoso Hotel, 300 meters from the shortest river on Earth, the Correntoso River and 100 meters from Route 231 that takes you 20 miles to Chile. Victory Cabin's living room window West view to Lake Nahuel Huapí, the Andes Mountain Range and the border with Chile.